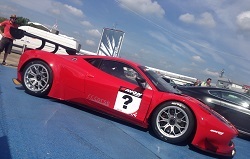 We now offer exclusive and shared hire of Ferrari Challenge cars & GT3 cars for track-days and race events in the UK and Europe. All the challenge cars are fitted with two seats, video and intercoms to enable driver coaching. Hire costs are inclusive of track fees, instructor, technical support, insurance and hospitality.